Gilbert Bates, Primal Therapy is committed to complying with Commonwealth legislation governing privacy of personal information by businesses and to protecting and safeguarding your privacy when you deal with us. Personal Information is information that identifies an individual. Examples of Personal Information we collect include: names, addresses, email addresses, phone and facsimile numbers. This Personal Information is obtained in many ways including enrolment into courses & seminars, purchasing Gilbert Bates, Primal Therapy publications, if you contact Gilbert Bates, Primal Therapy, we may keep a record of that correspondence or when you submit your e-mail address to our web site mailing list. We collect your Personal Information for the primary purpose of providing our services to you, providing information to our clients and marketing. We may also use your Personal Information for secondary purposes closely related to the primary purpose, in circumstances where you would reasonably expect such use or disclosure. You may unsubscribe from our mailing/marketing lists at any time; all you need to do is let us know. When we collect Personal Information we will, where appropriate and where possible, explain to you why we are collecting the information and how we plan to use it. Sensitive information is defined in the Privacy Act to include information or opinion about such things as an individual’s racial or ethnic origin, political opinions, membership of a political association, religious or philosophical beliefs, membership of a trade union or other professional body, criminal record or health information. Gilbert Bates, Primal Therapy does not collect any sensitive information from you. In order for updates to be forwarded to you to keep you abreast of the changes to regulations, specifications and product information, as well as details of special offers and discounts provided exclusively to you by the sponsors of the various courses, seminars and publications. Our web site contains links to other web sites and those third party web sites may collect personal information about you. We are not responsible for the privacy practices of other businesses or the content of web sites that are linked from our web site. Gilbert Bates, Primal Therapy encourages users to be aware when they leave the Gilbert Bates, Primal Therapy web site to read the privacy statements of each and every web site that collects personally identifiable information. Information Your Personal Information is stored in a manner that reasonably protects it from misuse and loss and from unauthorized access, modification or disclosure. Personal information is removed securely when no longer required by us. Gilbert Bates, Primal Therapy retains the information you provide to us including possibly your contact and credit card details to enable us to verify transactions and customer details and to retain adequate records for legal and accounting purposes. This information is held on secure servers in controlled facilities. Information stored within our computer systems can only be accessed by those entrusted with authority and computer network password sanctions. No data transmission over the Internet can be guaranteed to be 100 per cent secure. As a result, while we strive to protect user’s personal information, Gilbert Bates, Primal Therapy cannot ensure or warrant the security of any information transmitted to it or from its online products or services, and users do so at their own risk. Once Gilbert Bates, Primal Therapy receives your transmission, it makes every effort to ensure its security on its systems. NPP 6 provides you with the right to access the Personal Information we hold about you and to update and/or correct it, subject to certain exceptions. If you wish to access your Personal Information, please make out your request to us in writing. 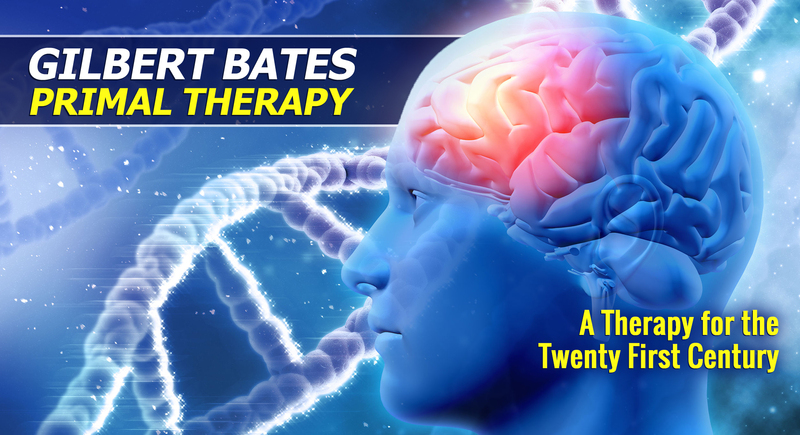 Gilbert Bates, Primal Therapy will not charge any fee for your access request. In order to protect your Personal Information we may require identification from you before releasing such information. It is an important part of providing our services to you that your Personal Information is up to date. NPP 3 provides that we take reasonable steps to make sure that your Personal Information is accurate, complete and up-to-date. It is important that you advise us at the earliest opportunity of any changes to your Personal Information so that our records can be updated. © 2017-18 Gilbert Bates. All Rights Reserved. The therapy is conducted under Janovian Principles. Art Janov was the discoverer of the process now known as Primal Therapy.